Spreadsheets simplified, slide-out keyboards trashed, form factors slimmed and trimmed and flattened. Every time we shift from desktop to laptop to smartphone, something has to be left behind whether it's the mouse or the Start button. Let's add the 'killer' app to that list. We don't need the Apple Watch to be the next iPhone. We have the iPhone. What is wearable tech for? That depends. It depends on who you are, where you are, what you're doing and who you are with. It's not a cop-out answer, it's a shift in thinking about our relationship with tech. Devices including in this category can monitor your health, help you to keep fit, convey alerts and information, train you, immerse you in a game or movie, handle contactless payments or identify you. But one device doesn't have to do everything in that list - or anything in that list, for that matter. It's something explored by the inventors of the Blocks modular smartwatch which allows users to add $30 to $50 modules with SIM cards, NFC chips, sensors and extra batteries in to the strap of the wearable. Alireza Tahmasebzadeh, co-founder at Blocks Wearables, explained the appeal of modularity to us earlier this month, in advance of the Kickstarter campaign which should sneak past the million dollar mark in the next 24 hours. "Wearables in general might not be a 'must have'," he said. "But there's always one killer function for each person that makes it something they need to have. And this killer thing is different for different people. 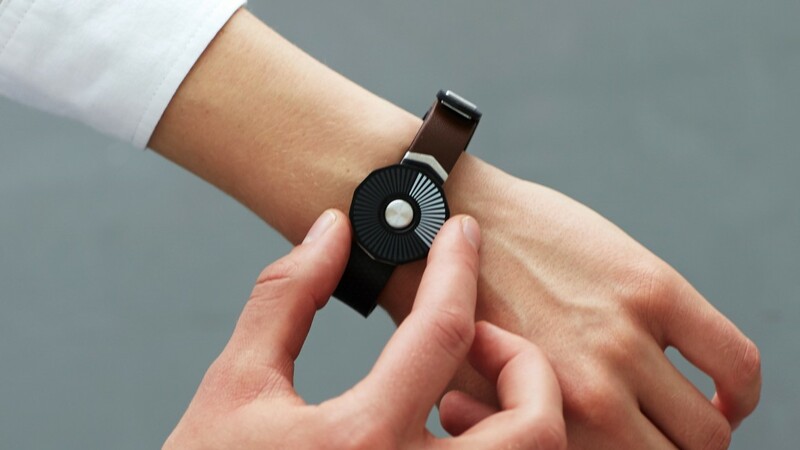 Making a modular device allows people to build the wearable device they actually need." It's not just indie startups, either. Intel is encouraging makers and designers to build game changing, but specific, wearables and connected self tech using its Curie module as the starting point. There's even a reality TV show planned. Earlier this year, Intel's VP of New Devices, Ayse Ildeniz, told us: "Today building a wearable relies on entirely economics of volume which is done on millions of standardisation. You have to cater to a wider range of people. You need to be able to enrich somebody's life in India, you need to make a difference to someone's life in rural China as well as somebody who lives in San Francisco like me." The absence of one must have function means this isn't a three or four or even 50 horse race as it was with desktops, laptops or smartphones. Visa and Barclaycard are exploring payment wearables, House of Holland and Chanel are experimenting with tech infused threads and Disney is making wearable tech toys. In short, everyone's at it. Here's three devices from the new Fossil Q range of connected accessories. The line includes one Android Wear smartwatch with a digital display, one Withings-style activity tracking watch and two smart bracelets with mens and womens styles. Prices range from $125 to $275+ and we don't know the battery specs yet but we'd wager there's quite a difference between the bracelets and the Android Wear watch. All the Q accessories hook up to Google Fit, Apple Health, Jawbone UP and Under Armour's UA Record, enhancing their usefulness without forcing use cases on customers. Fossil is a fashion brand so the main choice offered here is of style, not substance. But it's a good sign of the direction that collaborations like this are heading in and designers would do well to take notes. Give up the search for wearable tech's killer app. Stop trying to play the numbers, cramming every sensor imaginable into a smartwatch in case that is the one that really takes off. Start building something useful to one gender or one age group or one group of enthusiasts. Do something specific and build a device that wouldn't work if it wasn't wearable. Make something modular or upgradeable or customisable. Third party apps, smart straps and cross compatibility are the way forward. Design for women as well as, or instead of, men. Don't be the person insisting we need to wear a smartphone. In other words, don't be the BlackBerry of wearable tech. Don't get left behind sticking to the old rules.